The Vice-president of the Heydar Aliyev Foundation, founder and head of IDEA Public Union Leyla Aliyeva attended the event. Prior to the screening of “Goygol National Park”, Leyla Aliyeva viewed the exhibition of photographs, which were taken by the film director Igor Bishnyov during the shooting of the documentary. Speaking at the event, Igor Bishnyov thanked the initiator of the project Leyla Aliyeva and shared his impressions of the making of the film. He noted that starting each premiere with the trailer for the subsequent documentary had become a good tradition. The film director said: “The first film shot within the project was ‘'Shirvan National Park”, which was screened last year; the second film was titled "Akgol National Park - Birds' Heaven" and it premiered in April of the present year. I am very delighted that the end of this year is marked by today’s premiere of “Goygol National Park””. Noting that the Goygol National Park had been established in 1925, I.Bishnyov said the film’s screening day coincided with the 90th anniversary of the nature reserve. He said that while the first two films produced within the project focused solely on nature, the film “Goygol National Park” was also about Azerbaijan’s centuries-old culture as well as an archaeological tragedy. The film director commended the personal involvement of President Ilham Aliyev in the opening of national parks in Azerbaijan. 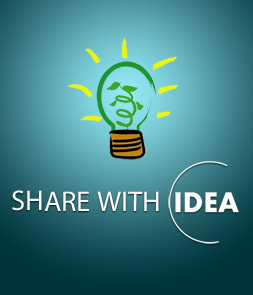 Expressing his gratitude to the head of the project Leyla Aliyeva, Igor Bishnyov noted that it was tremendously interesting for him to collaborate with IDEA. He particularly highlighted the significance of the work done by IDEA Public Union in the environmental education of children. He congratulated everyone on the forthcoming New Year as well as on the 90th anniversary of the Goygol National Park, saying the film was, in a sense, a holiday gift for the viewers. Documentaries about each of the country’s nine national parks are to be produced in the framework of IDEA Public Union’s “Nine wonders of Azerbaijan” project. The future films will focus on the Shahdagh, Hirkan, Altiaghaj, Zangazur, Absheron and Samur-Yalama national parks. IDEA Public Union intends to organize the screening of the film “Goygol National Park” in the Azerbaijan’s universities as well as at its resource centers in Baku and Ganja. Furthermore, the film is to be shown in other countres and at international events. It should be noted that the previous documentary produced within the “Nine wonders of Azerbaijan” project, titled "Akgol National Park - Birds' Heaven", won the "Television project of the year" award at XIX International TV Ecological Festival “To Save and Preserve” held on 17 June 2015 in the Russian city of Khanty-Mansiysk. IDEA’s “Nine wonders of Azerbaijan” project aims to promote the fascinating natural beauties of Azerbaijan both within and outside the country, and to highlight the importance of protecting the environment.